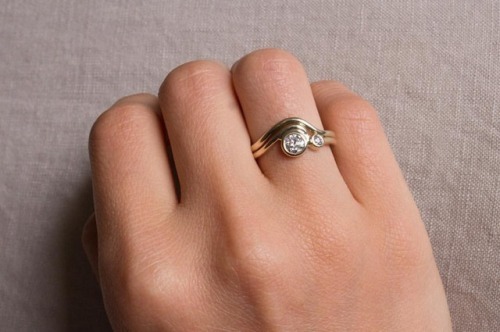 The White Diamond Masumi Ring with a 0.33ct Old European center and its snuggly buddy, the Masumi Contour Band. Yes to reclaimed, yes to 100% recycled, yes to 100% renewed. Yours together or apart, online now!